ZD is writing on the Svbtle network. I first met Sean at a coffee shop in Potrero Hill in 2014. Sean had just left Quid where he’d been CTO and cofounder. I’d just joined Lux. We spoke about the future of ML and AI, whether “deep learning was real” (in 2014, still an open question! ), and what would come post the renaissance in computer vision (we both settled on computers understanding language). 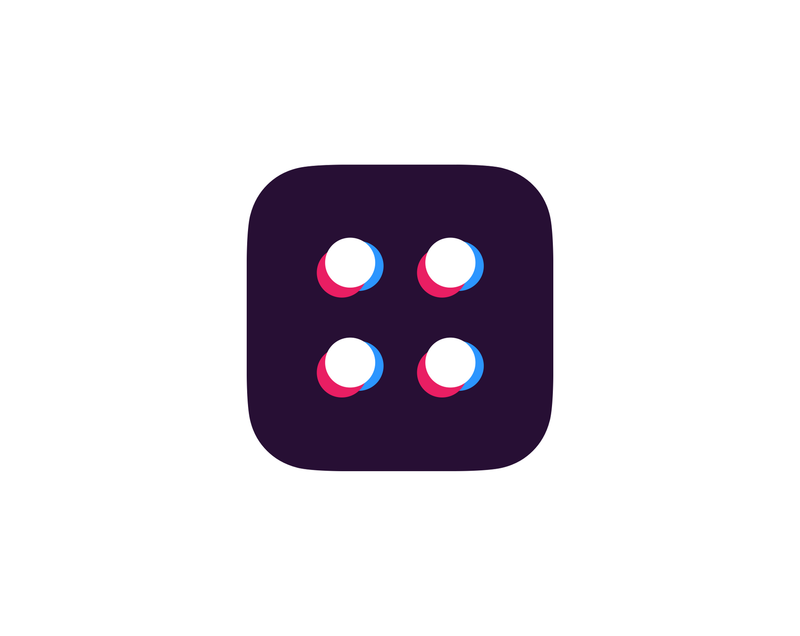 Emails, calls, more coffees, and a Lux sponsored seed round later and Sean had built a vision for Primer: to leverage Natural Language Processing and Natural Language Generation to accelerate human understanding of the world. Almost everything these days has a circuit board inside. 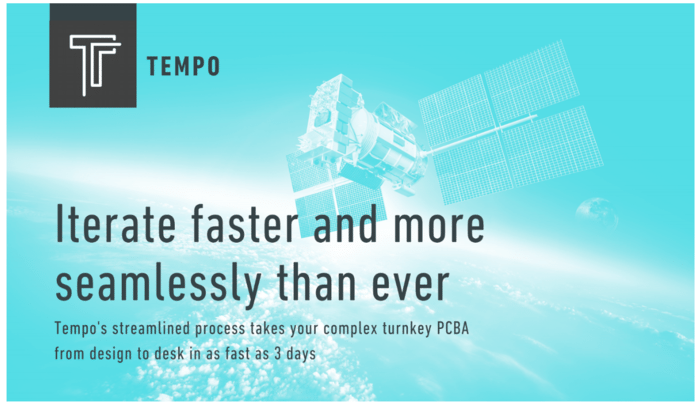 Tempo combines machine learning and robotics to crank them out faster and error-free. Whether you’re building cell phones, drones, security cameras, rockets or driverless cars, you’re gonna’ need a circuit board to make it run. Traditionally, you would send out your design to a mom-and-pop shop to get the boards made. You’d call them up on the phone, wait 48 hours for a quote, then exchange an average of 35 emails and calls to sort out the process. After all that, you need to wait three weeks for them to hand-assemble your board and deliver it to you. After unpacking, you’d find a problem. Your engineering team would need to figure out what went wrong, then fix the design, call the circuit board maker and start the process all over again. Complexity rears its head across startups and Fortune 100s alike. It’s unbiased in its applications, and often crippling in its outcomes. The consequences of the future are coming at us faster than we once imagined, and in more unpredictable ways. The increasing asymmetry of opportunities and threats are hidden in exponentially growing, often silo’d, almost certainly unstructured, data. It’s almost painfully obvious: real world data’s sheer volume and dimensionality render it beyond human grok-able comprehension. The solution? Machine Learning and AI that closes the gap between ever increasing - ever complex - data and, at best, linearly scaling human horsepower. Technology that erases the chasm between data and decision making. Machine learning, AI, Conv Nets, Deep Learning, and Neural Nets … all rapidly maturing Artificial Intelligence technologies that have simultaneously become household jargon in the Valley. Tesla’s self driving car, Amazon Alexa, Google Search, Facebook tag recommendations, Microsoft Cortana, and Apple Siri … all novel products leveraging the above mentioned AI technologies, developed by large tech mainstays, and increasingly popular nation wide. Barriers to creation are falling. Creativity is, in essence, commoditizing. This sounds hyperbolic, but a quick look at Google’s recent work with DeepDream should quell most doubt. The computer generated, yet deeply human, art generated by Google’s autonomous artist doesn’t live in a vacuum. Behind the scenes were countless libraries, SDKs, servers, containers, algorithms, and frameworks that supported the rapid iteration and creation of DeepDream, which itself was creating art de novo. Jake and I found ourselves watching New Girl and solving math puzzles last Friday. The. Good. Life. Alice and Bob each pick the index that has the first 1 in their respective arrays. 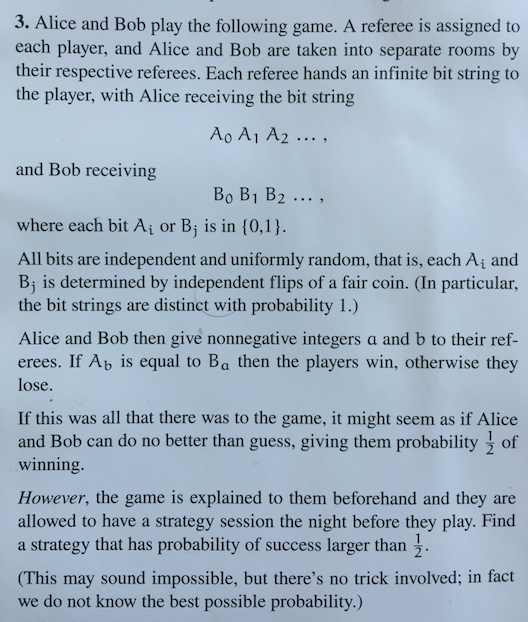 For each permutation length, Alice and Bob nail one case where they necessarily win. Note: In this case they do not win, as the second number in Bob’s array (0) is not equal to the third number in Alice’s array (1). Today is about [Clarifai](clarifai.com), it’s about an ambitious entrepreneur in Matt Zeiler, it’s about a true 0 to 1 step function breakthrough in technological ability, it’s about the reawakening of the New York deep tech scene, and as a least important bit, it’s about Lux’s investment alongside USV in Clarifai’s Series A. Before going further, it makes sense to explain: How did we get here? At Lux we’ve been investing within the intersection of deep tech and contrarian for over 10 years. The thesis and conviction to be differentiated and shoot for true outsized venture returns has led to investments in nanomaterials, electric grids, drones, digital pathology, and even satellites. Along the way we’ve questioned what it means to be VCs and rolled up our sleeves to play active hands in directly founding companies in Nuclear Waste, semiconductors, and even biotech.